I legit ask myself this 100 times a day. I use to go and do whatever and whenever before becoming a mom. A friend would call and I could just pick up an go. But motherhood is a total horse of a different color. Being a mom requires planning, an scheduling, and thinking ahead because naps-meals-toys-etc. I can’t just GO when a friend calls now because “what time will it end, nap time starts at…” pops into my head. “How late will the event be tonight, bath time and bed time routine start at 7”. Sometimes I agree to things knowing that it might not be the best thing for our families routine but I’m simply trying to be a good friend, but I’m here to tell you I do that less and less because I love when routines are kept in our house, things run so much more smoothly when they are. You know, you’ve done the toddler thing Im sure, routines are CRUCIAL! Sometimes you can’t force what you will be saying yes to BUT there ARE areas of your life where things CAN be easy… Your Online Business! 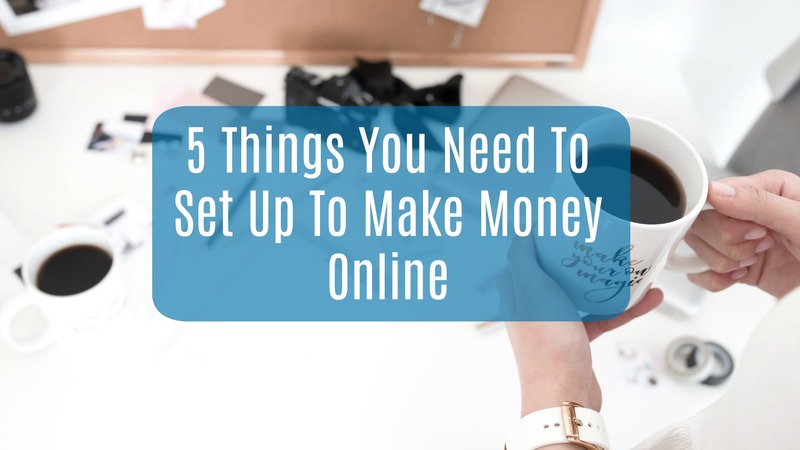 Before you go getting overwhelmed in our brand new year wondering how the heck you can run a business let me show you EXACTLY what you need to set up in order to make money NOW online. 2. You’ll Need To Setup & Configure an Online Payment Processor So You Can Accept Money From Your Customers! This can be paypal, stripe, or program site like Gumroad or Course Craft also have built in options to accept payments for your for sale items. Most payment sites are straightforward and easy to use. You’ll want something thats easy to set and and has a low fee per sale (you want to make the most money possible). Before you buy something don’t you want to know what you’re buying? Exactly, you need a page to tell your audience what they are getting! Some people need more convincing about your product even tho you KNOW it’s amazing and WILL change their life. A sales pages tells your audience what your selling, why they need it, and why your product is better than others on the market! Some online payment processors have the ability for you to simply add your product to their site and they’ll send it out as soon as payment is received. <- This is perfect for those who are looking to make money TODAY! GumRoad is one of those types of payment options where you can click, add, link, and BAM you’re done. This is a crucial step to running your business. This is a list of people who have entrusted their e-mail address with you so that you have a direct line of communication with them. Down the road you can use this line of communication to share your wisdom, ask for testimonials, or share new and exciting programs you’ve just released. Side note I LOVE ConvertKit for this!! Part of why I got into business, teaching moms how to start-run-grow their online businesses, was because when I owned my health & fitness business I always felt like BIG business owners were sharing their “pearls of wisdom” but never really sharing the niddy griddy on how they got where they go. 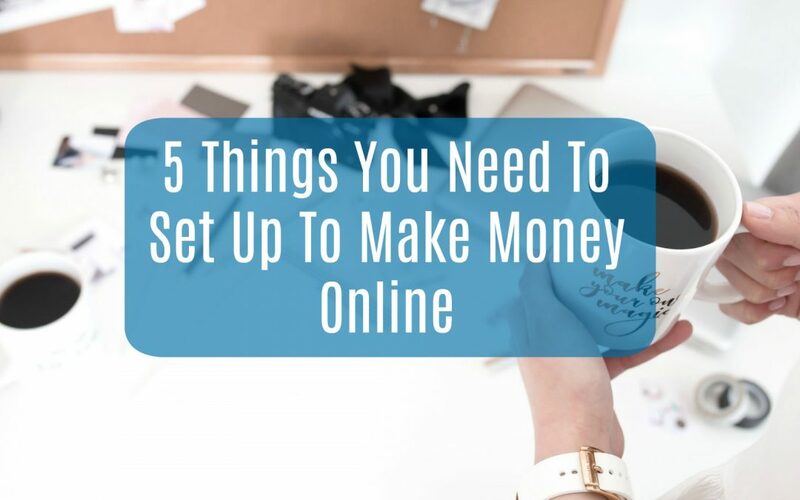 SOOOOO I am here to unveil exactly what I use in order to make a business function, sites you can set up in as little as an hour to start earning money TODAY in your very own business. 1. Gumroad – This is an online payment processor that I use for half of my products. I absolutely love how simple it is to set up, use, and how it delivers products with no hassle. Once someone hits the “Buy Now” button and enters their payment info they can have your product in seconds. This platform allows you to list multiple products. If you want to get fancy you can link gum road up to convert kit (which is next up) and when someone buys a product from you on GumRoad it triggers your e-mail sequence to deliver an email to your buyer! 2. ConvertKit – This is the email marketing service I use and LOVE. I have tried dozens.. sadly dozens, of other email marketing services over the last 7 years and hands down ConvertKit is the best low cost and properly functioning service i’ve found. Like I mentioned above, I love how easy it is to integrate GumRoad with ConvertKit for sales and e-mail list management. They also have a really cool feature where you can create “tags” for certain people and when you want to email just those people all you need to do is select the tagged people rather than trying to find each person individually. Super Simple. 4. SiteGround – I host my wordpress website on SiteGround, it was super easy to set up and use. SiteGround actually did most of the set up work for me. I signed up for SiteGround and they installed my WordPress plug in directly to my site and taaadaaa, it all sinks seamlessly. 5. Divi Theme From Elegant Theme – I use this theme on my website. It is by far the EASIEST and most customizable theme i’ve ever found. It’s literally a drag and drop kind of program. You pick what you like and add it to your site. 6. Course Craft – I love course craft for creating the other half of my sales. It is just as the title suggests, a way to create courses and sell them. The first program I mentioned above was a course I built through course craft. You simply sign up, design a sales page, integrate your payment option, select a price point, and activate your page. It’s truly that simple. They have prompts for every single step to make it fool proof. 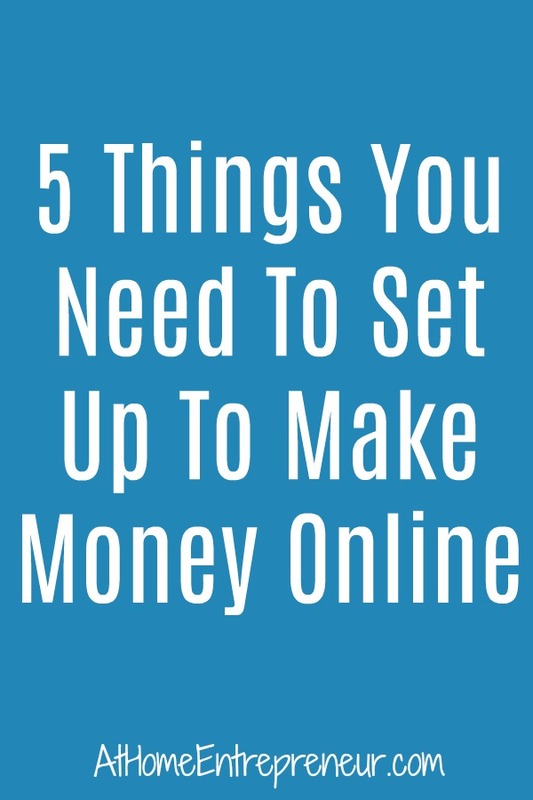 So there you have it, the 5 things you MUST have in place in order to make money online today. You just need to sit down and create an AWESOME program/PDF/VideoTraining/etc., create a sales page to share about your offer, link up a payment site, set up your email service and make your very first sale! If at any point in time you have questions about ANY of these steps do NOT hesitate to leave a comment below, shoot me an e-mail, or send me a message on FB! I am here to help, I am determined that your 2018 starts off with a BANG! I want to see you succeed in your business ventures this year momma! Are You Ready To Get More FREE Tips On How To Start Your Business?